Cutwater (a SF agency), enlisted four real families and shot in their homes over two days. The glasses have no playback function, so the creative team had to capture as many “happy accidents” as they could all in 10-second bursts. Why it’s hot: This is an awesome execution that uses (otherwise, kind of useless) snapchat spectacle technology to capture simple human truths from an unexpected perspective. 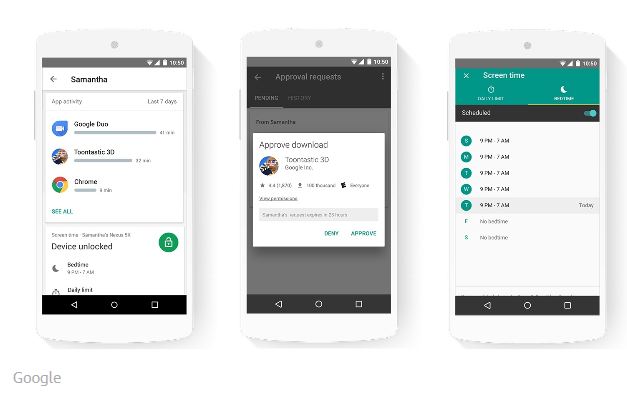 Today Google announced the launch of Family Link, an application for parents to keep tabs on what their kids are doing on their devices, especially for those younger than 13. Family Link requires that both parent and child use Google’s Android phones and tablets. The parent will first download the Family Link mobile app to their own device so a Family Group is created on Google, which establishes the parent as the group manager. Then the parent will set up the child’s Google account and when your child signs onto the new phone the first time, the Family Link app will automatically install to complete the setup. •	Require permission for new app installation and see which apps kids have installed. •	Put kids’ phones to sleep when it’s time for dinner, homework or bed. •	Set a “bedtime” and sleeping hours during which devices can’t be used. •	Identify which apps are your kids’ favorites. At any time, a parent can see just how much time they have been spending in various apps. And what they have used in the last 7 and 30 days. •	By default, mature and adult-only apps are blocked inside Google Play so your child can’t even see them though parents can alter the settings to be more or less permissive. •	Set a new unlock code if kids forget their own. •	Ring the phone’s ringer to find lost devices. •	Set which apps get access to the camera or microphone. The app is in a limited testing phase for now and Google is open to having testers try it out and provide feedback. Google hopes to make the feature available in the US in early summer and later this year in other countries as they navigates local laws. An iOS version is not yet available, but it is in the works. 56 percent of kids in the US aged 8 to 12 have mobile phones. Family Link addresses the trend of kids accessing the internet at younger and younger ages. Google allows parents to deselect apps they don’t want their kids to use. Android Pay and YouTube are off limits for all kid accounts (though YouTube Kids is available). Every family is different as far as rules around screen time go, so Family Link takes this into account. Google lets you set a different limit for each day of the week, and you can also set a specific Bedtime period, where the device automatically locks up at a certain time of night. Of course, no tool is going to substitute for the guidance, understanding and rules parents will put in place for their own kids. Family Link opens up the conversations between parent sand their children regarding smartphone and online behavior. New toys are equipped with WiFi or bluetooth technology to remember past conversations with children. The technology functions much like Siri on an iPhone – it collects information from conversations and play, and then feeds that information back to the user in order to create more interaction. 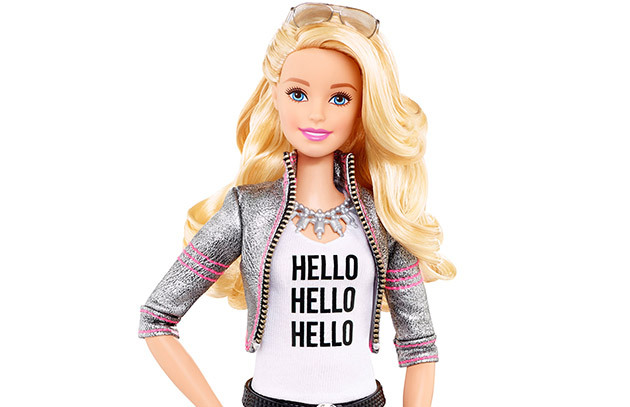 See more about interactive Barbie on NBC News and Engadget. Why It’s Hot | As NBC News points out, data collection isn’t always a good thing, especially when it involves children. Once the information is saved, it opens the door for hackers to spy on children. Additionally, as with most new technology in toys, there are worries of lessening children’s capacity for imagination when so much of their play is dictated. Despite those concerns, these interactive dolls could create more engaging, realistic play with children, and help them to develop conversational skills at a younger age. 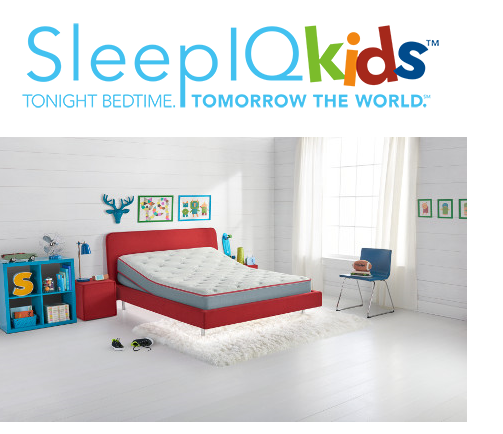 Sleep Number, a sleep innovation leader, introduced the SleepIQ Kids bed at the CES last week. “A smart bed for smart kids.” The SleepIQ technology monitors the child’s sleep patterns, assigning a “SleepIQ” score based on the average breathing, heart rate and movement in bed. There is nothing to wear or turn on. All kids have to do is sleep. The sleep knowledge provided can guide parents and children to achieve their best possible sleep. Based on a national survey conducted by the company, most parents have difficulty ensuring that their kids get sufficient quality sleep at night. Almost 80% say sleep impacts their child’s performance in school, and 68% say it affects their child’s extracurricular activities. Parents and children can view the sleep dashboard to see how well they slept and how their sleep was impacted by daily activities such as sports, studies, exercise, stress and late night snacks. They learn what to do to achieve better sleep each night. The bed adjusts and grows with kids. They can adjust the firmness of their bed for comfort and support. It can also alert parents when their child is out of bed or restless. It also features under-bed lights that activate when the child gets up during the night. The SleepIQ technology utilizes a full-body algorithm to assess each individual’s quality of sleep and provides a SleepIQ score each night. Users can view the personalized data via a smart phone, tablet, desktop or SleepNumber remote. Bedtime is a nightly ritual for parents and their children. 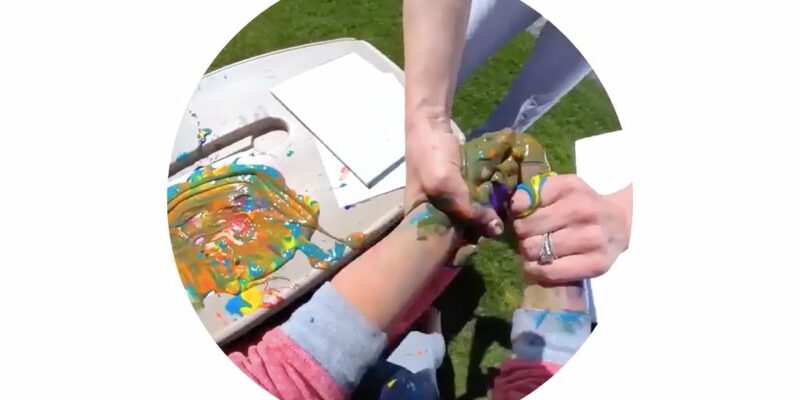 Parents want it to be a pleasant experience and sometimes it doesn’t turn out that way. The SleepIQ bed could turn bedtime into quality time. Learning how to achieve a better, more comfortable sleep would not only make more parents happy, but they would be able to sleep more soundly at night too. The PSEG foundation has teamed up with Sesame Workshop to launch an emergency preparedness initiative featuring two mobile apps, “Let’s Get Ready” and “Here For Each Other,” aimed at making children comfortable and knowledgeable in what could be frightening situations even for us adults. The Let’s Get Ready app teaches kids what they need to know in case of an emergency, from packing an emergency kit with essentials, to their parents’ names and their home address. Here For Each Other is more parent-focused, offering tips and tools for discussing emergency preparedness with children. Why It’s Hot: With so many natural disasters and man-made tragedies in the past few years, between the rebuilding and recovery, there are often discussions about how to talk to one’s children about emergencies to make sure they know what to do, just in case. I’m not yet a parent myself, but I imagine that emergency preparedness is a scary subject to bring up to your little ones. While perhaps parents and relatives should be able to talk to their children about such things, kids would probably be much more attentive to a game-like approach than to a serious conversation with an adult. As we have discussed previously, and as we see from the world around us, children love playing on smartphones and devices just like we do. In addition to fun and/or educational games, it might be effective to communicate more serious topics, like what to do in case of an emergency, via something kids can relate to – a fun, kid-friendly app. About 15,000 new cases of type 1 diabetes are diagnosed among children every year. Now an organization called Design for America has helped introduce a cuddly therapeutic teddy bear named Jerry the Bear that helps kids understand their diabetes and how to manage it. Social Networking for Kids: A Great Idea or Taking It Too Far? 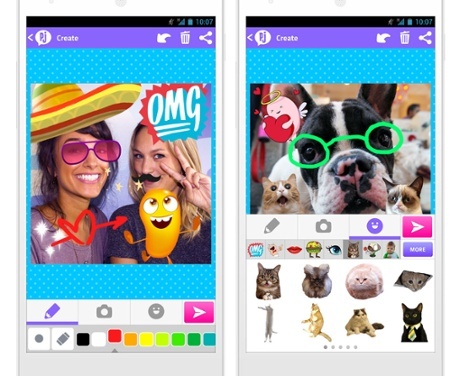 PopJam is a new social app for 7-12 year-olds from the maker of Moshi Monsters. If you’re an adult sans children, like me, you’re probably wondering what Moshi Monsters is. A website with over 80 million registered users across the globe, Moshi Monsters enables users to choose a virtual pet monster which they can name and nurture, then take daily puzzle challenges, play games, personalize their pet’s room, and communicate with other users in a safe online community. Why It’s Hot | With smartphones for children becoming increasingly more commonplace and popular (eMarketer), it was only a matter of time before social networking apps were geared towards children as well. That being said, at what point does targeting children become immoral? We know there are extensive regulations to protect children from being marketed to; however, it seems these regulations have not caught up to modern technology and behavior. Kids aren’t little adults. They see the world differently. So when Lehigh Valley Health Network built the region’s most advanced Children’s Hospital, they designed everything from a child’s perspective. To communicate the depth and breadth of the Children’s Hospital, and to demonstrate that the focus is totally on the children, the campaign “From a Child’s Eyes” was created. The campaign kicked off with two TV spots showing life from a sick kid’s perspective. We see ordinary things and people such as a patient’s room, wheelchair, MRI machine and nurse. But what we hear is a child’s voice describing them as “secret lair,” “rocket mobile,” “laser beams,” and “sidekick.” The award-winning campaign, “Through a Child’s Eyes,” was launched to help the community understand that the Children’s Hospital doesn’t just know how to treat diseases. 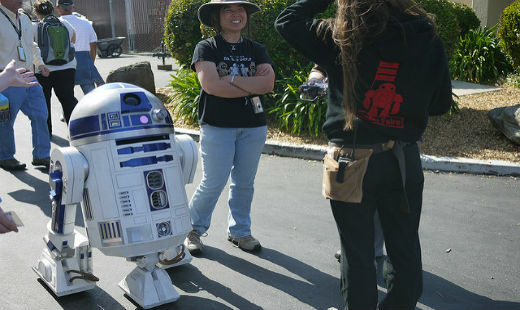 They know how to treat kids. Why it’s HOT: I thought this was another example of looking at healthcare from another perspective. I’ve personally worked on many health and pharma new business pitches and I’m always curious to see what other ideas the other ideas think up. I’m interested in hearing other people’s thoughts and who they truly believe the target audience of this commercial is. Is this the reverse strategy of that used in the cereal industry?